The above products are recommended for installation or mounting of the Round Metal Handrail 2". Our 2″ Round Metal Handrail has been designed as an architecturally correct handrail solution that beautifully completes the modern elegance of a Viewrail cablerail system. Our round handrail is available in 316 Stainless Steel, and can be finished in our Brushed Stainless finish, or have a powder coat applied (Powder Coated Black, White, Fashion Gray, or Copper Vein). 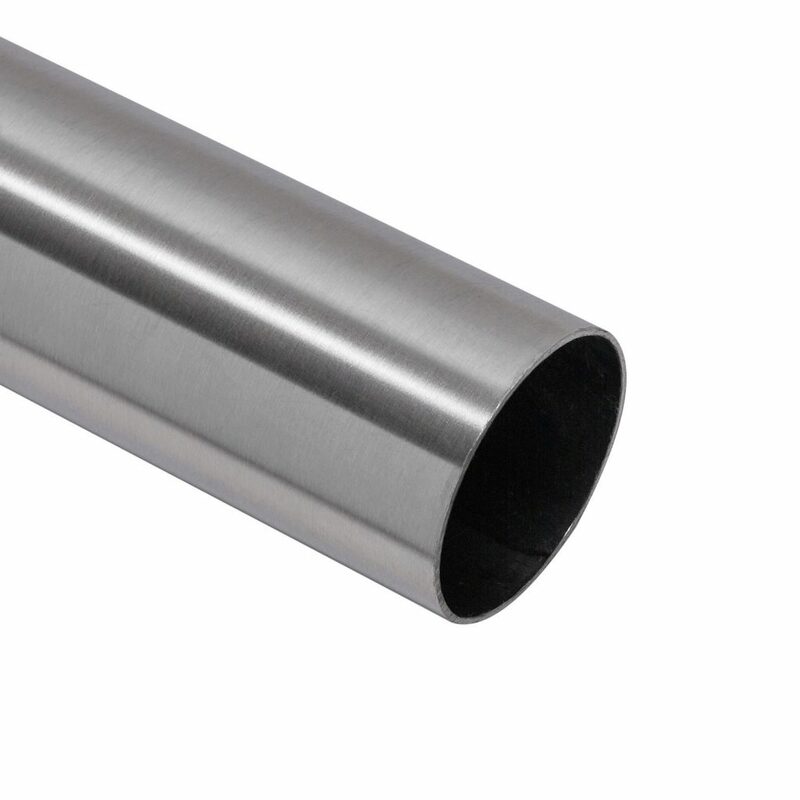 Order your handrail with finished ends, or order separate Round Metal Handrail Fittings to turn corners, connect long sections, or apply finished ends on the job site. Hello, will 9 feet handrail be shipped in one peace or two peaces? Thank you. This will be shipped in one piece. Hello, can it be installed on your “Flat Top Square 2″ Rod Railing Posts”? We only carry a round handrail bracket for our universal top posts at this time. How are these mounted to the glass? Thanks for the question, Vinnie. Depending on which glass railing system you’re using, there are a few different options. If you have a post-to-post glass rail system, you can attach the handrail to the tops of the posts. You could also use our stainless steel grab rail post bracket (https://www.stairsupplies.com/product/stainless-steel-grabrail-post-bracket-vr454/), which would also attach to posts, but will be offset from the glass by a couple of inches. 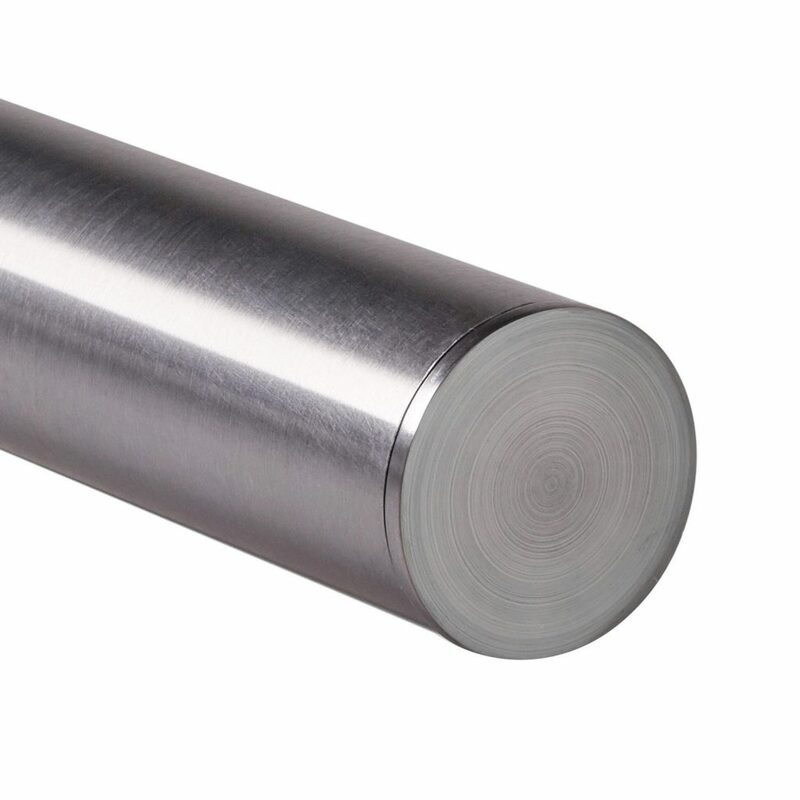 If you aren’t using posts, you’ll probably want to go with our round metal cap for glass, https://www.stairsupplies.com/product/1-round-metal-cap-for-glass/. Feel free to call one of our specialists at (866) 226 6536 if you want to talk through your options.